Lily's Quilts: Do you want to learn improv paper piecing and design? Do you want to learn improv paper piecing and design? We have a few guest bloggers lined up for this QAL who will make their version of the quilt (or a one block mini quilt) in their own unique style to give us all the idea that you can start with a pattern and you can take that pattern and do something completely different with it. I know some of you are already thinking of doing the pattern in your own way and I will also be looking to showcase those ideas on the blog too. I will be introducing you to each of my guest bloggers in posts coming up during the QAL. 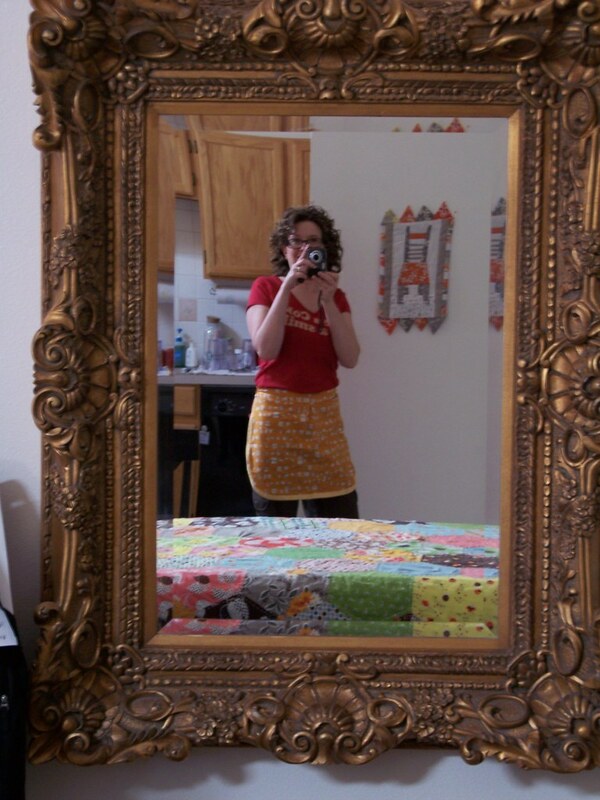 Today, may I introduce you to someone who saw quilting promise in me way before I did and so she has my eternal love and pathetic grovelling gratitude. It's Penny Sewtakeahike who is famous for (i) popularising the QAYG method we will be using; (ii) her fabulous skill with scrappy quilts - which is what I have asked us to showcase in her version of the QAL quilt; and (iii) free-style improv paper pieced blocks she designs herself. Just take a look at the kitchen blender that appeared in her photostream yesterday. And what about this scissors and thread block. Well, if you would like to learn how to design and piece these kinds of incredible blocks, Penny is teaching at a weekend retreat in Colorado in the middle of April. I cannot tell you how much I wish I could go, but that is beside the point - one day I will be there, even if Penny has to push me round the retreat in a wheelchair and turn my oxygen up when we come to a tricky seam. Here is my mate Penny looking every inch America's Next Top Quilting model. 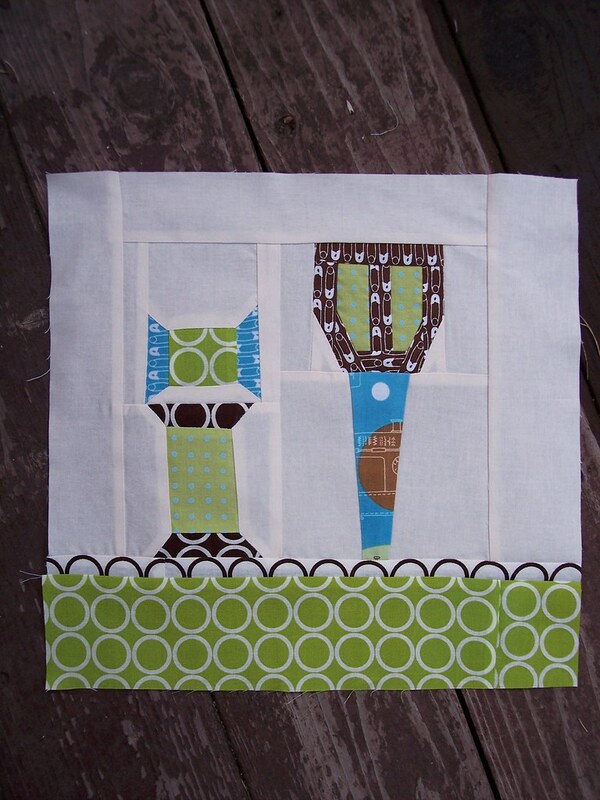 Penny's workshops will be focusing on improv and paper pieced blocks, including block design and construction as well as advanced block design. Here are more of her blocks to whet your appetite. Everything you need to know is right here. And please let me know if any of you go on this retreat so I can be really, really jealous and bitter that I can't be there too. Could Penny be persuaded to come here(UK)??? or at least show us how to make her kitchen mixer block???? Yay Lynne! I'm so excited to be participating in the qal with you!! thank-you for your amazing inspiration! and I'm going to rub it in that I'll be at the retreat, wishing you could be there for sure!! i almost fell out of my chair when i saw the mixer block...i love it beyond reason!!!!!! That would be so amazing to go. All these retreats and summits are happening and they are just too darn far. I want something to happen in San Fran! Someday when the kids are older. lol...I just finished a very similar post. ;) I didn't know you were doing this and I'm laughing at how similar we are. You are much funnier than me though. I'm enjoying the picture of you being wheeled up with an oxygen tank finally getting to take your quilting retreat with Penny! Hope that oxygen tank has a double hook up. I'll be there with you! LOVE Penny's funky style and creative genius, too. Can't wait to see what she comes up with for the QAL! I absolutely love that first mixer square! I "know" Penny and think her work is fabulous. She also has a great talent for reaching inside her readers and finding that nugget of creativity and coaxing it out genuinely. I'm eager to audit your QAL. I'm on a finishing streak, similar to a fabric diet where I'm not allowed to start anything new. It's actually worse than being on a fabric diet because I really do have more fabric in my stash than I can use. Wait. Strike that. I have just the right amount of fabric in my stash. I just need to manufacture time to use it. And I will, just as I will continue my 2011 goal to watch my wip become fo. 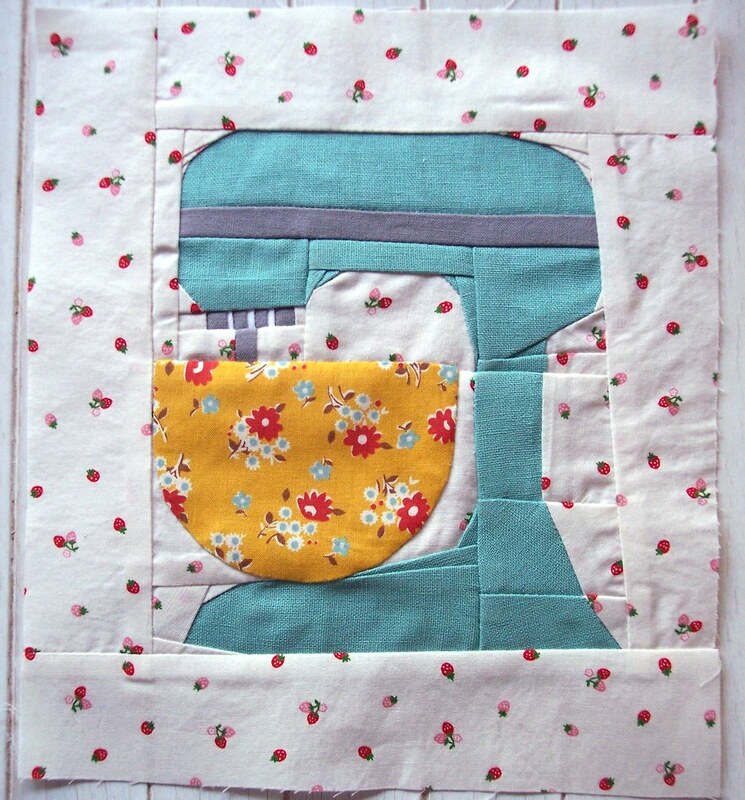 Well I know I don't know anything about this subject but these appliances in quilt form are lovely.